At Southern Travel Agency in Augusta GA, the travel agency near you, our local travel agents and our online travel advisors plan luxury all inclusive family vacations that truly “wow” you. We’ll match you with the perfect vacation or all inclusive family resort to fit your needs, and we’ll make sure everyone in the family has an amazing time! Come home with new family memories that will last a lifetime. Our dedicated Southern Travel experts will work with you to build a customized travel itinerary tailored just for your family, using our network of worldwide travel contacts to book you the best tours, transfers, accommodations, and more. Click on the button below and start building the family vacation of your dreams now! When you work with us to book your family vacation, your vacation actually starts before you even set foot on the plane! That’s because we give you a much-needed break from the hassles of travel planning. You tell us what your family is looking for, and we’ll take care of all the rest. 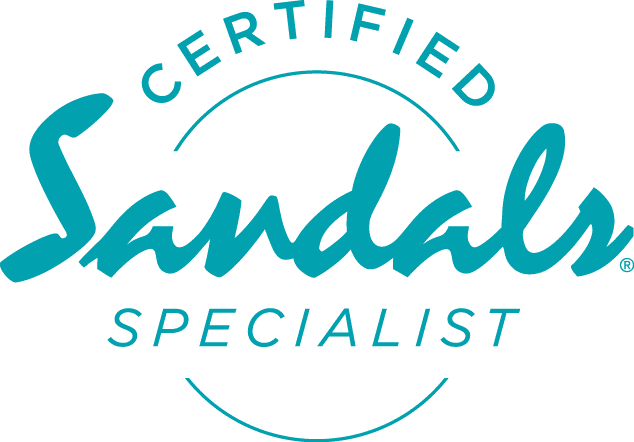 Plus, we have contacts at many of the best all inclusive resorts for families, so you can rest assured your vacation is in trusted, knowledgeable hands. 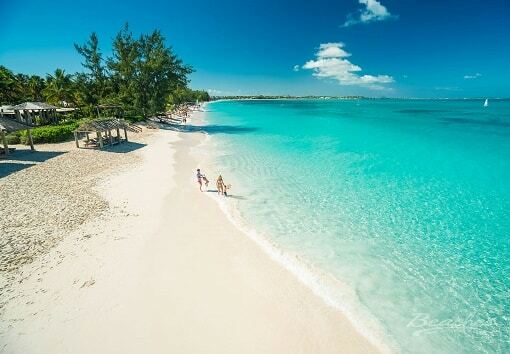 On Jamaica’s famous Seven Mile Beach, you’ll find one of the best all-inclusive family resorts in the world. Beaches Negril piles on the fun with snorkling, a water park, and 9 different specialty restaurants. Want a truly carefree family or multi-generational group vacation, without a worry in the world? Our Beaches travel agents recommend to upgrade to a butler suite, where a trained butler will make sure all your travel wishes come true. After all, we think a vacation with the kids should still be relaxing and luxurious! Your kids will enjoy an interactive singing and dancing experience with their favorite T.V. characters, like Barnie, Bob the Builder, and more. Families can experience more fun together with the Hard Rock’s mini golf course, arcade center, and family-friendly lounges. Plus, included land sports, a lazy river, and 11 different pools will bring out the kid in everyone! Families love Palace Resorts, with multiple prime locations in Mexico. And parents love that kids 12 and under can stay for free this summer! For a family vacation you and the kids will never forget, consider vacationing during late summer, when sea turtles are hatching on resort beaches. Palace Resorts has special programs at some of their locations where guests can help release baby sea turtles back into the ocean. 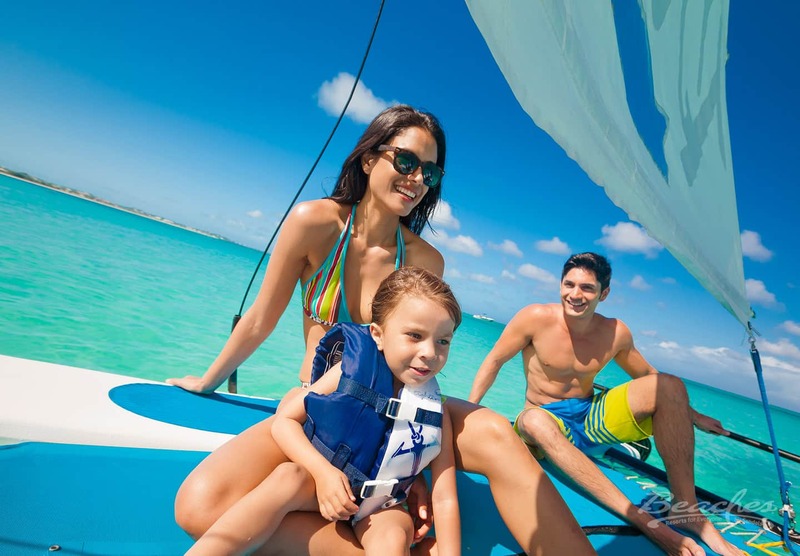 Beaches Turks and Caicos sets the bar pretty high for all inclusive family vacations. Parents and kids alike will fall in love with the resort’s pristine beaches and crystal clear waters. Our Beaches travel agents love to recommend this family resort. Because families can get wet n’ wild together at the 45,000 square foot water park — where beloved Sesame Street characters might make an appearance! Teens, too, will enjoy a family escape to this impressive resort, thanks to teen-oriented amenities like the “Liquid at Beaches” teen disco. Show your kids a different side of the world with a stay at Fairmont Hotels & Resorts. These elegant resorts are located in some of the hottest cultural destinations in the world, perfect for families that want to do a little more than just lounge poolside. Explore Mayan ruins, marvel at Hawaiian waterfalls, or take a ride together on those famous San Francisco trolleys! Plus, Fairmont elevates the typical resort kids menus with healthier, creative spins on kid favorites, like pizza and spaghetti. Iberostar is another luxury resort brand that spans the globe. Whisk your family away to exotic locations like Mallorca, Cadiz, or Marrakech. Take advantage of Iberostar’s baby-sitting services to enjoy some of the resorts more sophisticated amenities. The spa is calling your name! Plus, Iberostar offers great deals for their all-inclusive family vacations. For example, kids under 6 stay free when they vacation with two adults. Family travel doesn’t have to be a stressful experience. Work with us to create a hassle-free getaway that speaks to your family’s specific interests and needs. We know every family is different, so we work hard to create memorable family vacations that revolve around your travel dreams and desires. 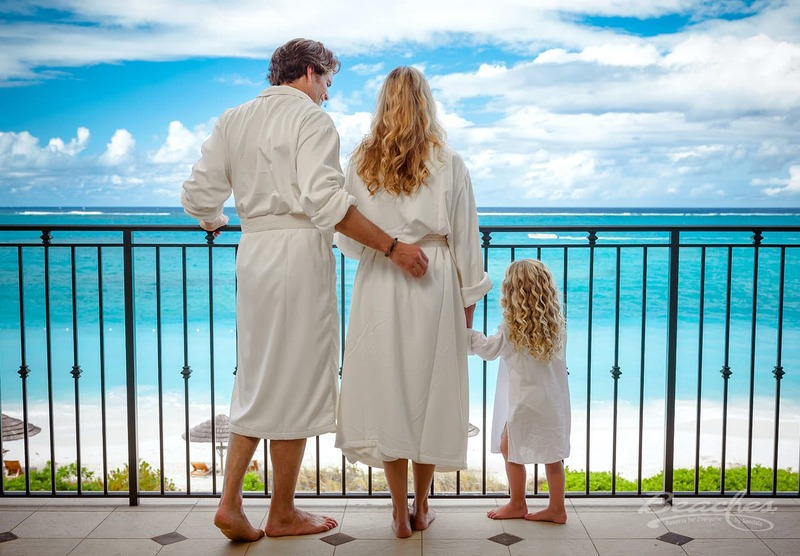 Check out this post about luxurious family vacation trends during spring break. Ready for your Magical Family Vacation? If you’re ready for a magical family getaway of your own, just get in touch. 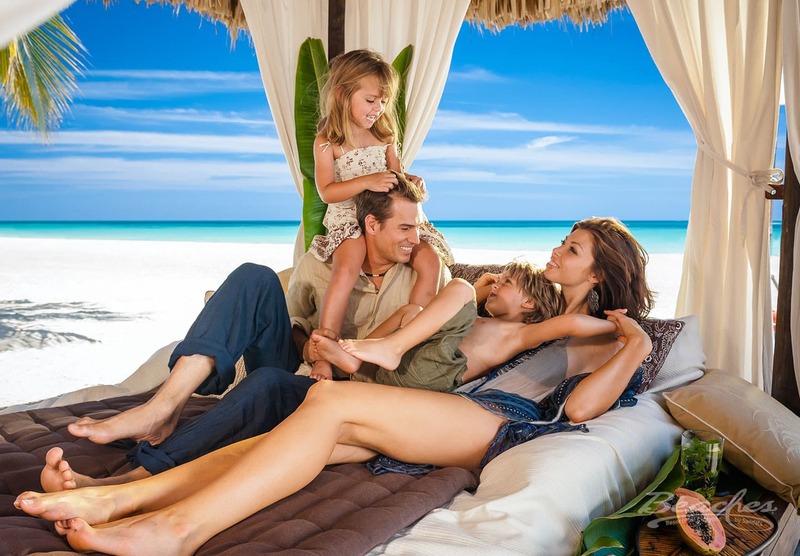 Our luxury and all inclusive family vacations and group travel experts can turn your dreams into a travel reality! 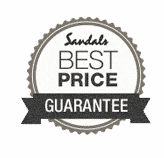 Book Your Sandals Resort Stay on Your Own! For a truly exceptional vacation experience, our luxury travel packages created specifically for you will transport you to a world of utter indulgence. Imagine a getaway where every one of your cares is catered to … think sumptuous spas, five-star dining, and private tours and excursions. If you’re celebrating a special milestone, or you’re just in need of some serious rejuvenation, our luxury travel packages deliver a once-in-a-lifetime experience. Our dedicated team of travel advisors is there for you during every step of your journey. Imagine: actually having an expert to talk to who will happily answer all of your travel questions! When you work with Southern Travel Agency, you have a travel advocate in your corner who’s there for you every step of the way. We pride ourselves on our clear communication with clients, while we take care of every part of the booking process for them. Our online travel agency makes makes travel easy — finally! Ready for Your Family Dream Vacation? Simply sign up for a complimentary consultation call with one of our travel experts. Get a big step closer to your dream vacation today!